Description: Converts inputs of type radio and checkbox to themeable buttons. Native HTML input elements are impossible to style consistently. This widget allows working around that limitation by positining the associated label on top of the hidden input, and emulating the checkbox or radio element itself using an (optional) icon. The original input still receives focus and all events, the label merely provides a themeable button on top. ui-checkboxradio: The input of type radio or checkbox. Will be hidden, with its associated label positioned on top. ui-checkboxradio-label: The label associated with the input. If the input is checked, this will also get the ui-checkboxradio-checked class. If the input is of type radio, this will also get the ui-checkboxradio-radio-label class. ui-checkboxradio-icon: If the icon option is enabled, the generated icon has this class. ui-checkboxradio-icon-space: If the icon option is enabled, an extra element with this class as added between the text label and the icon. Disables the checkboxradio if set to true. Whether to show the checkbox or radio icon, depending on the input&apos;s type. HTML to show in the button. When not specified (null), the HTML content of the associated <label> element is used. Removes the checkboxradio functionality completely. This will return the element back to its pre-init state. Retrieves the checkboxradio&apos;s instance object. If the element does not have an associated instance, undefined is returned. Unlike other widget methods, instance() is safe to call on any element after the checkboxradio plugin has loaded. Gets an object containing key/value pairs representing the current checkboxradio options hash. Sets the value of the checkboxradio option associated with the specified optionName. Sets one or more options for the checkboxradio. Refreshes the visual state of the widget. 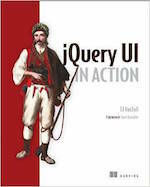 Useful for updating after the native element&apos;s checked or disabled state is changed programmatically. 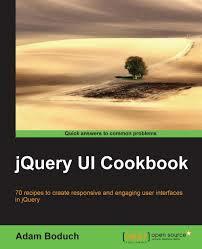 Returns a jQuery object containing the checkboxradio. Triggered when the checkboxradio is created.